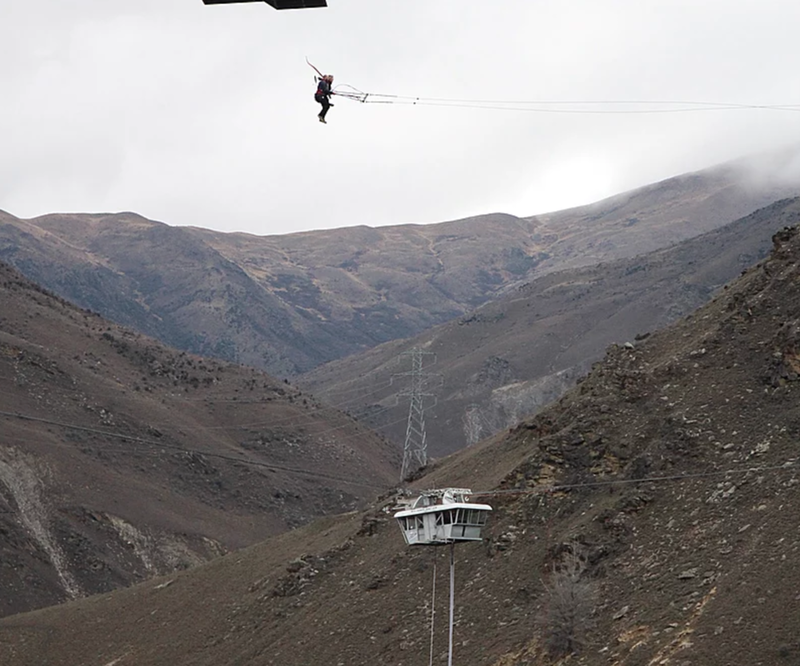 As soon as I got there, everyone was curious as to what my plans were - skydiving, bungy, jetboat rafting, heliskiing etc...Queenstown is, after all, one of the adventure capitals of the world - you don't go there without some risk-taking idea. My plan? I had no idea what I could actually do. My backup plan was to do a winery tour once a day - no issue with disability there! I've always wanted to parasail but the whole landing part (kind of neccessary) would be very dicey with my right foot. We stopped in at one of the Happy Travels Queenstown and got chatting to a guy, Mark King - he was awesome! He suggested hang gliding. IT WAS AMAZING. Skytrek had no problem with my lack of coordination (getting in and out of the sleeping bag thing). My instructor put me at ease straight away! The beautiful scenery of Glenorchy, from above, was breathtaking. "After being lifted out above the launch deck, suspended 160 metres above the canyon floor, you’re suddenly released and find yourself rushing towards the other side of the valley at 120kph, eyes wide open in disbelief or shut tight in fear." Please see my excitement below. Not a second thought about height, speed or safety - I just wanted to do it. One thing I was scared of? The fact that someone was going to tap me on the shoulder and tell me I couldn't participate because of my epilepsy and/or disability. Didn't happen! This is the drop from side-view. The AJ Hackett operators asked me about my epilepsy and whether it was controlled and if I was photosensitive. They were really cool about it and did not make me feel uncomfortable or that I shouldn't be there - which happens fairly often. Thanks Nevis Team! If I'm ever in QT again, I'm swinging for sure! Watch me scream on Youtube! Here's a few handy links!